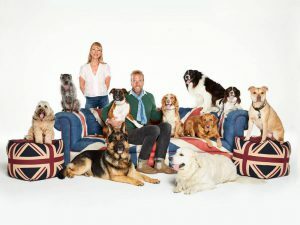 UK Pets found 17 Labrador Retrievers for sale in the UK. Click on each entry to view more details. You can filter your search results according to the most recently uploaded pets or the price. The Labrador Retriever is from the Gundog group and is a very popular family pet, with its good-natured and friendly disposition. Although versatile and good with children, the Labrador is not an ideal guard dog. Learn more dog breeds from our archive. For sale is a Labrador X Vizsla puppy we bought the puppy but have since been informed our landlord does not allow pets! We have already fallen in love with this ultra friendly girl who is amazing with my two kids (1yr and 5yr old) With the puppy will come a small travel cage and a brand new house cage. We also have a blanket and some of Mollys favourite toys also a harness and lead / shampoo / toothbrush and paste a load of treats for training. 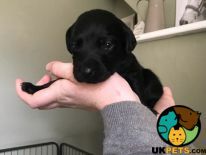 Depending on if this is a quick sale we also have a stock of around 30kg kibble and 12 tins of wet food (Pedigree puppy) Molly has been microchipped and has had injections / flea and worm treatment. I have put a very reasonable price considering this is a whole package! Black Labrador puppy from KC Assured breeder needs loving home, ready May 16 aged 8 weeks Parents excellent health screening results hips eyes and elbows, healthy low inbreeding ratio, chunky show lines ( sire placed twice at Crufts is a JW ), mum our very beautiful Tess who can be seen along with other relatives including Great Grandma Bella and Great Great Grandma Dolly ( sure lives a long way from us with Linjor Retrievers but is a lovely docile chocolate boy ). 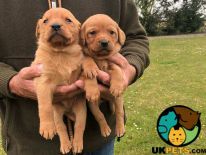 Full puppy pack, KC registration and starter 5 weeks insurance, diet stater etc microchipped, vet checked, wormed, comfort blanket, bonding visits welcome. This is a special puppy, mum is doing an excellent job, home reared and well socialised. All puppies placed off our waiting list this little boy re available due to change of circumstances. Please e mail or call for more photos. Find us at [link removed] and on Facebook.